FREE delivery to United Kingdom in 8 - 12 weeks. 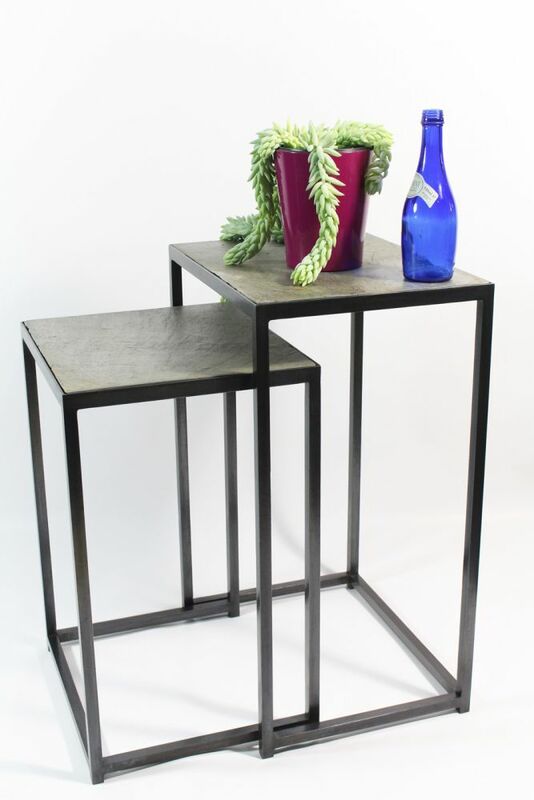 Beautiful, striking, and bold nesting side tables. The steel structures are hand finished with a black patina and then topped with wonderful reclaimed Welsh Green Slate. The combination of materials make for a striking set of contemporary side tables for the modern interior.